Home » What Exactly is Physical Therapy? Physical therapy is a medical science that specializes in helping a body relieve from pain, heal from injury, perform better in work/play/leisure. 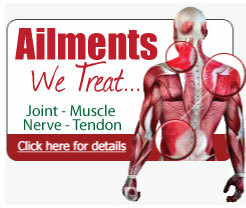 Pain relief is achieved with all natural means that involves no side-effects or drugs. Physical Therapy is considered a conservative treatment method addressing the treatment, healing, and prevention of injuries and disabilities. Physical Therapy focuses primarily, but not solely, on pain relief, promoting healing, and restoring function and movement associated with injury. Other areas within Physical Therapy are ergonomic (body mechanics) training, fitness/wellness, and, especially, education and prevention. Each person that comes into our office is unique and, therefore, rates of healing are also unique. The physical therapist can usually get an idea of your progress within two weeks. Please keep in mind that although rehabilitation takes time, it also took time for an injury to progress to its present state of discomfort. What will I expect during a Physical Therapy treatment? Physical Therapy generally encompasses assistance in pain management such as: hands on therapy, traction, strength and flexibility training, regaining range of motion, improving and correcting posture, endurance training, balance and coordination training, proper walking, education, and safety awareness. Stephanie will work with patients to develop and implement a home exercise program within their treatment. Physical Therapy will work to restore function, improve mobility, and educate patients on how to maintain and promote overall physical fitness and health. Considering everyone is different, each physical therapy experience and program is different. Be patient with yourself, your Physical Therapist, and your Physician. Healing takes time, diligence, and compliance. If you have any questions, just ask your physical therapist today!